Today I've been experimenting with potions! 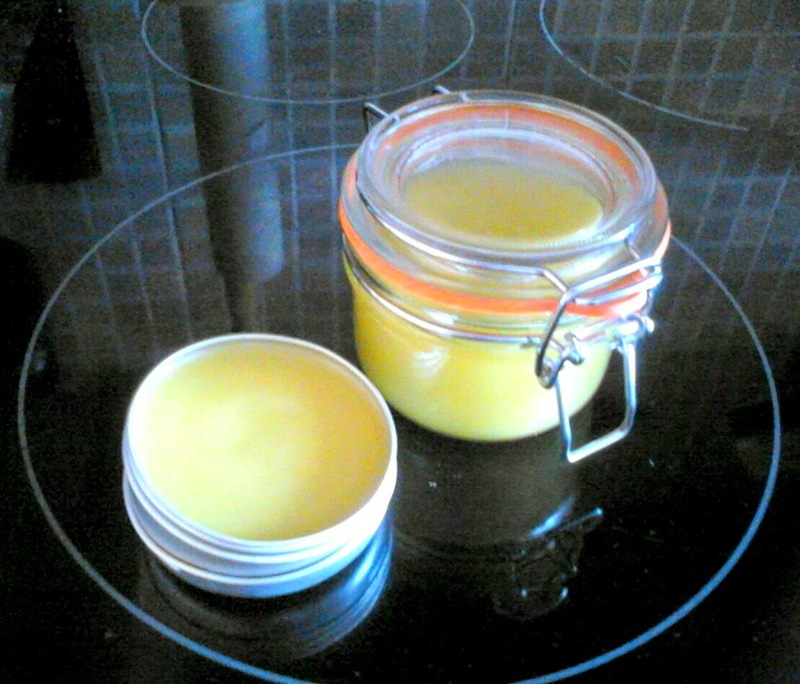 Not in the hubble-bubble toil and trouble way, but with this lavender and chamomile salve. I've never tried making anything like this before but I'm quite pleased with how it's turned out so far. I gently heated 1 cup of olive oil with 1/2 cup dried chamomile until warm then left it to infuse for 20 mins. Then I took the chamomile out and squeezed out the oil. I added 2 tbsp beeswax pellets and heated the bowl over hot water until the wax melted, then stirred in some lavender essential oil (12 drops) and some tea tree oil (6 drops). I poured it straight away into my cleaned pots and left it too cool.